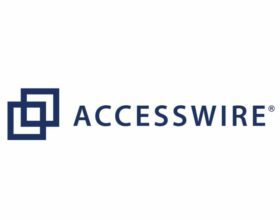 TORONTO, MARCH 3, 2016 – The National Crowdfunding Association of Canada (NCFA) today announced that Arti Modi, CEO of Lending Arch, has joined the Association’s Advisory Board as Advisor, Marketplace Lending. She will also participate in the national Ambassadors Program, which recognizes leaders, educators, supporters, and advocates of the Canadian crowdfunding industry within regional communities across the country. 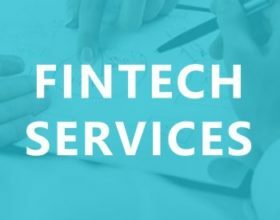 Modi’s thought leadership and global business intelligence is highly regarded within the FinTech space and her customer-centric philosophy is the driving force for one of the most hyper-personalized lending tools in Canada. Recently listed as one of Alberta’s Need to Know people, she is also co-founder of OmniArch, a contemporary investment firm managing over 5,000 Canadian investors and more than $400 million in portfolio assets. We want people to live in a world where they can thrive. We want people to know banks are not the only ones lending. We are a digital finance platform and we are giving ordinary people like us, the extraordinary opportunity for financial advancement. 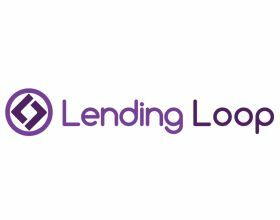 LendingArch.ca is a marketplace lender who rewards financially responsible Canadians with hyper-personalized, affordable loan options. LendingArch’s competitive edge is the ability to underwrite prime and future prime borrowers. Devised for a genesis of new thinking consumers, Lending Arch is humanizing the banking eco-system and creating innovative financial health programmes driven by non-traditional data. The platform was founded by an ensemble of global entrepreneurs, investment architects and is spearheaded by a team of expert millennials in the financial technology space. For more intel, please visit www.lendingarch.ca. You can also follow us @lendingarch. Lending Arch products and services are provided or offered by subsidiaries and affiliates of Lending Arch under the Lending Arch trademark. © 2016 Lending Arch Financial Inc. All rights reserved. LendingArch, its logo and other marks are trademarks and service marks of LendingArch Financial Inc. and/or affiliated companies. All other marks contained herein are the property of their respective owners. The National Crowdfunding Association of Canada (NCFA Canada) is a cross-Canada non-profit actively engaged with both social and investment crowdfunding stakeholders across the country. 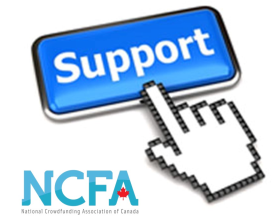 NCFA Canada provides education, research, leadership, support and networking opportunities to over 1300+ members and works closely with industry, government, academia, community and eco-system partners and affiliates to create a strong and vibrant crowdfunding industry in Canada. For more information please visit: ncfacanada.org.